Singapore, 26 January 2010 – Need to have a conference with others thousands of kilometres away? A glass-walled room lets all parties interact as if you were all together at one location. Can’t be physically present for a meeting? Send your avatar which will take on your appearance as well as gestures and even give you a report of the meeting at the end. Sounds like science fiction? Not at all. These are some of the advanced and sophisticated forms of interactive real-time 3-D communication, known as “telepresence” and “telecollaboration” that we can look forward to in the near future. Taking the lead in the development of these cutting-edge communication technologies are Nanyang Technological University (NTU, Singapore), Swiss Federal Institute of Technology Zurich (ETH Zurich, Switzerland) and University of North Carolina at Chapel Hill (UNC-Chapel Hill, USA). They have come together to set up a new international research centre for telepresence and telecollaboration, known as the BeingThere Centre. These new technologies are set to revolutionise the way humans communicate in the 21st century, in the same way that the telephone revolutionised long-distance communication when it was introduced in the 19th century. The BeingThere Centre represents a S$23 million investment (approximately US$18 million or 17.2 million Swiss francs) by the three universities and the Media Development Authority of Singapore, and aims to leverage on the synergy between the universities, each of which are at the forefront of research and development (R&D) of the technology. The collaboration will boast a team of 32 top scientists across three continents embarking on joint R&D projects to develop four prototypes of the telepresence system of the 21st century. The parties will share the intellectual property and commercialisation benefits arising from the joint research conducted at the BeingThere Centre. One of the prototypes that will be developed by the BeingThere Centre is a telepresence room that virtually joins several similarly instrumented remote rooms. These rooms will all have wall-sized displays that give the illusion that the rooms are adjacent and separated only by glass walls even though they in different countries. These “glass wall” displays will provide each person in the room with the correct, personalized stereo view into the remote rooms, giving the illusion that all the participants, local and distant, are in one commonspace. In another application of this virtual communication technology, researchers will work on a mobile display that brings a 3-D graphical representation of one person in a distant location to a place that is controllable by both users. The display is semi-transparent and will bring the illusion of the other person being present in a room, laboratory or hospital. Other exciting projects in the pipeline include a mobile robotic mannequin that acts as a remotely located “avatar” that could freely navigate a distant environment and take on the appearance and gestures of its far-away human host; and an autonomous virtual human with memory and awareness capabilities that can take the place of its host when he or she is absent. Mr Michael Yap, Executive Director of the Interactive Digital Media (IDM) Programme Office at the Media Development Authority said, “As media and telecommunications converge, consumers will start to demand new forms of communication that bring about greater practicality and convenience. With the BeingThere Centre, some of the best minds in US and Europe are brought together in Singapore to partner NTU to push the boundaries of 3-D display and digital communications. In the virtual world, there are no physical boundaries. The centre, which spans three continents, is thus headed by three co-directors: Nadia Magnenat-Thalmann, Professor and Director of NTU’s Institute for Media Innovation in Singapore; Markus Gross, Professor and Director of the ETH Zurich’s Computer Graphics Lab in Switzerland; and Henry Fuchs, Federico Gil Distinguished Professor at UNC-Chapel Hill in the US. “One of the most important imperatives for the research conducted within BeingThere is the seamless integration of visual display into everyday environments,” says Markus Gross, Director of the Computer Graphics Laboratory at ETH. “Telepresence will convey much of the nonverbal, often subconscious communications that make face-to-face interactions so valuable and satisfying,” says Henry Fuchs, Federico Gil Distinguished Professor at UNC Chapel Hill. In the next 10 years, telepresence is expected to become a multi-billion dollar market as broadband Internet networks and superfast computer chips are developed to transmit and process increasingly intensive streams of digital information. A research-intensive university, NTU has 33,000 undergraduate and postgraduate students in the four colleges of Engineering, Business, Science, and Humanities, Arts & Social Sciences. The largest campus in Singapore, NTU is also home to four world-class autonomous institutes – the S Rajaratnam School of International Studies, the National Institute of Education, the Earth Observatory of Singapore and the Singapore Centre on Environmental Life Sciences Engineering, and many leading research centres such as the Nanyang Environment & Water Research Institute (NEWRI) and Energy Research Institute @ NTU (ERI@N). A fast-growing university with an international outlook, NTU is putting its global stamp on Five Peaks of Excellence – Sustainable Earth, Future Healthcare, New Media, New Silk Road and Innovation Asia. In 2013, NTU will set up the Lee Kong Chian School of Medicine in Singapore jointly with Imperial College London. It will also have its first campus in China, the NTU Tianjin College. For more information, visit http://www.ntu.edu.sg/. 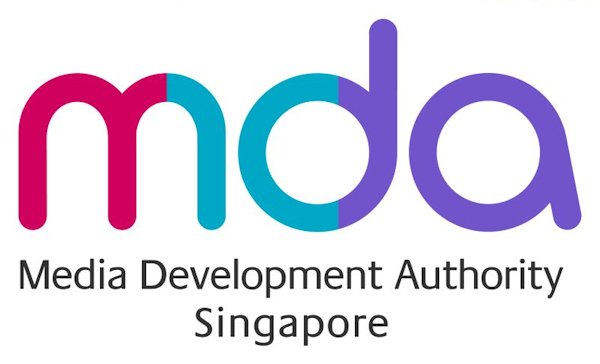 The Media Development Authority of Singapore (http://www.mda.gov.sg/) promotes the development of vibrant and competitive film, television, radio, publishing, music, games, animation and interactive digital media industries in Singapore. It has developed an industry masterplan, Singapore Media Fusion 2015 (http://www.smf.sg/) to advance this goal. MDA also promotes a connected society, consumer choice and a pro-business environment. ETH Zurich has come to symbolise excellent education, groundbreaking basic research and applied results that are beneficial for society as a whole. Founded in 1855, it today offers researchers an inspiring environment and students a comprehensive education as one of the world’s leading universities for technology and the natural sciences. ETH Zurich has 16,000 students from approximately 80 countries, 3,400 of whom are doctoral candidates. Around 400 professors teach and conduct research in the areas of engineering, architecture, mathematics, natural sciences, system-oriented sciences, and management and social sciences. 21 Nobel Laureates have studied, taught or conducted research at ETH Zurich, underlining the excellent reputation of the institute. The University of North Carolina at Chapel Hill, the United States’ first public university, is a leader in American higher education and known around the world for innovative teaching, research and public service. Now in its third century, Carolina offers 77 bachelor’s, 109 master’s, 66 doctorate and six professional degree programs. In fall 2010, the University enrolled more than 29,000 students who are taught by a 3,200-member faculty. The BeingThere Centre is an example of the type of research that supports the Innovate@Carolina Roadmap, UNC’s plan to help Carolina become a world leader in launching university-born ideas for the good of society. To learn more about the roadmap, visit http://innovate.unc.edu/.